Christmas time is here and you can hear Santa's sleigh bells just around the corner. It's time to decorate all of the nooks and crannies in your home and fill them with light and cheer. These decorative snow globes are sure to do the trick. 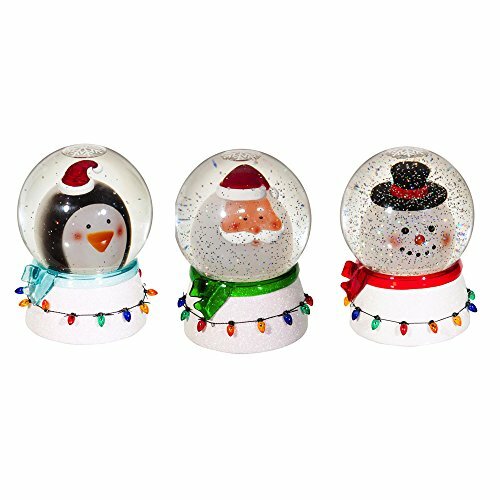 Made of polystone, each snow globe features painted details and a sturdy, 100mm glass globe. Filled with water and snowy flakes, these snow globes will be a hit with your family and friends, young and old.